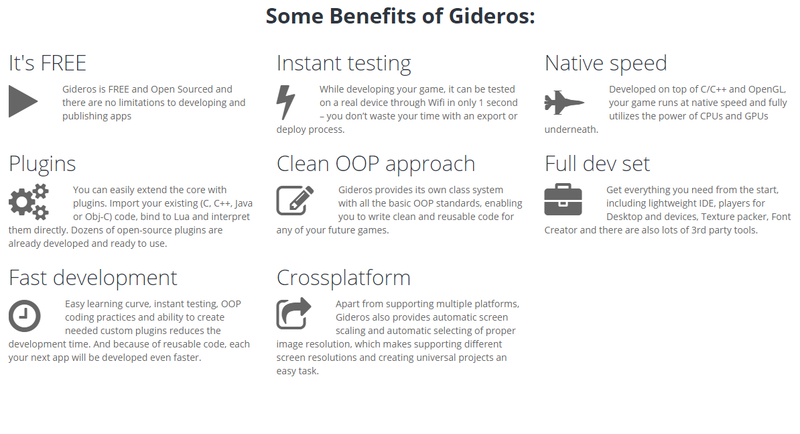 Gideros comes packaged a complete development suite complete with its own lightweight IDE and plenty of other 3rd party tools allowing you to develop games quickly. Support is even possible through Gideros to Windows Phones and not just Android or iOS. Gideros is a rapid development toolkit utilizing Lua that brings a lot to the table. You can check it out here.